We currently have five Bible study groups that meet weekly in various locations in Vancouver, including several churches and one rehab hospital. These groups are basically composed of people with similar learning abilities, although anyone is welcome. Some of these groups serve folks who are mostly non-readers, and may have a greater emphasis on singing choruses and songs that stress the Gospel message, while others are more challenging for more intellectually able members. However, all our groups emphasize the importance of the Bible, fellowship, and prayer. We believe every member should have the opportunity to be part of a small-group Bible study, and have seen God teach marvelous things and transform lives through these times together. These Bible studies serve about 85+ very faithful, enthusiastic, and dedicated people. Most pastors would love to have that kind of faithful commitment from their congregations! 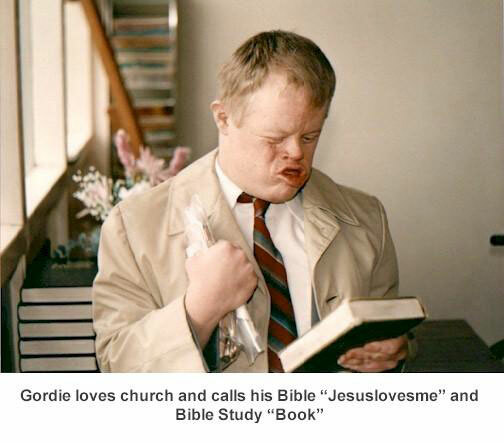 The folks of Joy Fellowship love their Bibles, and reading from them is an integral part of the Bible study. “I praise you, Father, Lord of heaven and earth, because you have hidden these things from the wise and learned, and revealed them to little children.